Do You Need an Urgent Fuel Delivery? Let Crown Oil come to the rescue with our urgent fuel delivery service, available as an additional service for our customers who need more than our standard fuel delivery service. Please note, this urgent fuel delivery service is only available for commercial/industrial or public sector customers only. An additional call out charge will apply for out of hours fuel deliveries. We understand on some occasions you may need to order fuel in an emergency situation. That’s why our trained staff are on hand to speak to out of hours, so you can order emergency fuel whenever you need it. It’s available 365 days a year, round the clock to make sure you’ll receive that heavily needed supply before it affects operations. Do you need fuel delivered within a few hours? Is your organisation part of the commercial, industrial or public sector? Can you make payment by credit card or relevant purchase order? If you have answered yes to these questions, then give us a call on 0845 130 9777. We have a team of experts who are on standby at all hours, waiting to take your call. 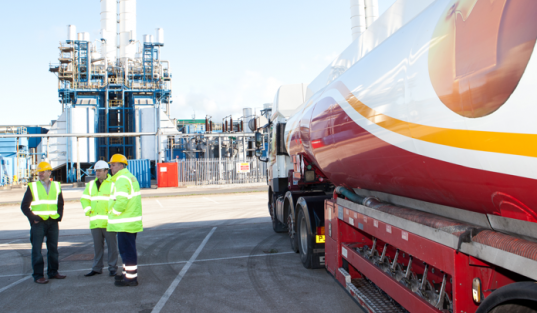 Our bulk emergency fuel deliveries range from 500 – 36,500 litres and our business customers rely and depend on our 24/7 urgent fuel delivery service being available at the right time for them. Check out our wide range of fuel products available. Our 24/7 out of hours urgent fuel delivery is for emergencies only, and it is best that you call us so we can be notified in time to get the fuel out for your delivery. Should you wish to get a normal fuel quote, please fill in your details using our handy online fuel quote form. Whether you are a large, blue-chip company or working within the public sector, we can deliver emergency fuel to your business quickly. Don’t get left stuck without fuel in an emergency situation! Call 0845 313 0845 today to arrange an urgent fuel delivery.